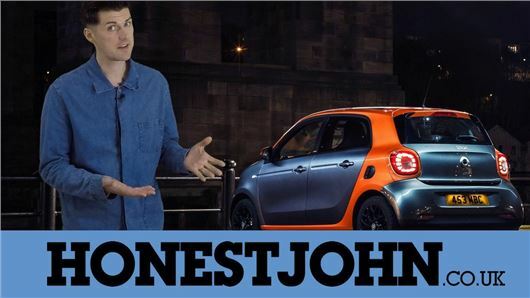 VIDEO: Smart Forfour - too smart? The last Forfour was a very ordinary and not very good four-seat hatchback that wasn't really worthy of being called 'smart'. This latest one, with its highly unusual layout, definitely is. Please subscribe to our YouTube channel by clicking here, then let us know in the comments below when you have. We'll give one of you a nice little prize. You can all have prizes then. Thanks for subscribing. Send your details to editor@honestjohn.co.uk and we'll post you a little something.